ca 550 - 500 B.C. Side A: Dike (Justice) beats Adikia (Injustice) with a mallet. 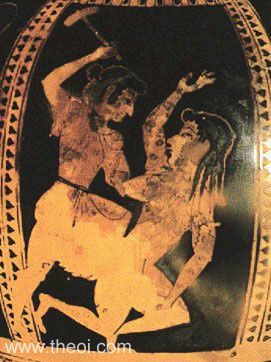 Adikia is depicted as a tattooed, barbarian woman with knotted hair. Side B: Ajax with the body of Achilles (not shown).